Useful in a myriad of applications. Mainly used to protect cast iron tops from rust. 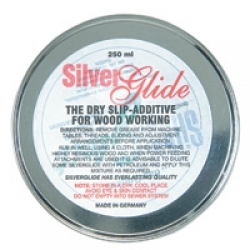 It can also provide lubrication for highly resinous timbers while machining them on table saws, jointers, etc. Simply apply with a rag to a clean, grease-free surface. Sold in 250ml tin.